On Record provides descriptive accounts of record-keeping in a variety of important organizations: schools and universities; consumer credit agencies, general business organizations, and life insurance companies; military and security agencies; the Census Bureau and the Social Security Administration; public welfare agencies, juvenile courts, and mental hospitals. It also examines the legal status of records. 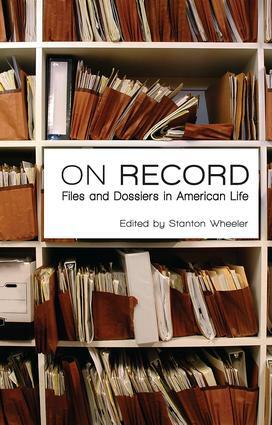 The authors address questions such as: Who determines what records are kept? Who has access to the records? To what extent do the records follow an individual? What are some of the dangers and pitfalls in record-keeping? Throughout the volume, the authors show a concern for an appropriate balance between the need for information about people and protection against undue invasions of privacy. The introduction of electronic databases since the original publication of this book makes the issues raised in this seminal collection even more timely. How Should Credit Reporting Work? Dossiers and the "Law Explosion"